Throughout its history, MasterCraft has maintained a fairly simple philosophy: design and build boats that help make boating more enjoyable. A direct byproduct of this thinking is the X-30. 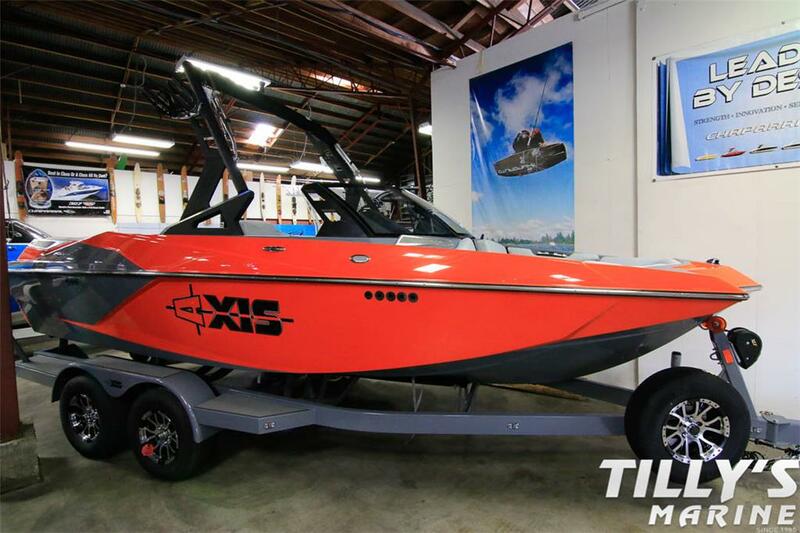 By combining the inherent design quality of the award-winning X-Star with the sensibility of a boat bred for active recreational boaters, the X-30 has become an integral part of the MasterCraft line. Drivers are treated to the sweet spot – a form-fitting wrapped driver’s seat, placed squarely in command of a gauge package that does everything but drive the boat for you. Standard with MasterCraft cruise control, digital throttle control and smooth-spinning rack and pinion steering system, the X-30 turns driving into dreamland. Behind the X-30’s diamond transom is a water lover’s fantasyland. With wakes which move from butter at 32 mph to bulging at 21, the X-30 singularly delivers skiers and riders equal doses of excitement. Our innovative, modified step hull and a series of terraced chines allow the X-30 to move freely at slalom speeds while sitting low when the speedometer inches below 22. Innovation is continual. Boats like the X-30 are timeless. 16 Persons or 2,275 Lbs.